Of all the side carriers available, this design is our top pick. The Wide shoulder straps that can be easily widened without any fancy moves is the key. The same goes for the way it sits comfortably across your back which distributes your babies weight evenly on your body. This comfy sling dry’s quickly and is the most breathable making it ideal for summer or even swimming and showers! It is not designed for the water but we know there are times that having baby in a carrier would make swimming and showering easy. It’s quick to dry and has holes to make the fabric drain easily. This comfy baby sling dry’s quickly and is the most breathable of the whole hugabub range due to the Mesh Fabric Design. 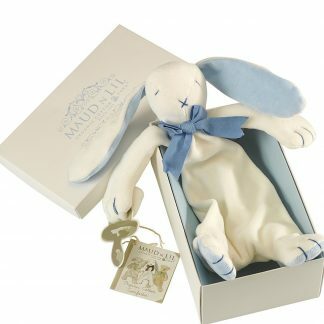 Love this addition to the wonderful hugabub sling family . A baby carrier is a fundamental item to make your life easier. Whether you choose a side sling, wrap carrier or pocket carrier, hugabub has you and your baby covered with these superior, eco-friendly designs. We recommend the original hugabub wrap carrier for newborns. This is the name given to using a baby carrier as an integral part of your parenting style. When you wear your baby, it is an instinctive parenting style where a baby is held close to the parent in a sling or pouch for a substantial part of the day. It allows a busy parent the freedom to continue their normal daily routine while providing the richest and most desirable environment for their child. Social conditioning has led parents to believe that if a baby is held or carried too frequently they will be spoilt, clingy or demanding. Modern research reveals quite the opposite and hugabub have been leading the way in this research for decades. The physical and psychological benefits associated with baby wearing encourage children to feel secure and content and build a solid sense of self-esteem. Babywearing calms fussy babies and helps decrease the occurrence of postnatal depression. The close proximity of the baby enables parents to respond to ‘non-crying’ signals, which results in less frustration and stress and most of all… less crying. Babywearing not only promotes an intimate connection between parent and baby, it is hailed as one of the most important factors in the healthy physical, intellectual and social development of infants. Research is showing that babywearing promotes good digestion which is believed to greatly eases the distressing symptoms of colic and reflux. Babies worn in slings are less clingy due to the support and trust they develop from being around parents and caregivers regularly, just like in indigenous communities. When having out in a baby carrier,s babies are AT the centre of activity not THE centre of attention, which is a wonderful environment proven to stimulate brain development and cognitive learning. A study published in the Pediatrics journal found that babywearing reduces crying and fussiness by up to 51%, with parents feeling more competent and nurturing toward their children. Being in close physical contact with a parent provides a baby with a rich learning environment where all of their most important needs can be met – food, warmth, love and touch. Babies who are carried learn more, stimulating brain development and expanding their future learning potential. At Nature’s Child, we strongly recommend baby wearing as part of a practical solution to daily activities as well as all these wonderful benefits. Apart from the fact that it was invented right here in Byron Bay by Suzanne Shahar and our very own director Jannine Barron gives you a bit of a hint as to why we love it! 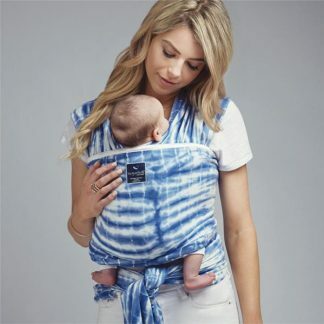 But truly, if you’re looking for a carrier that will last you from birth until your child no longer wants to be carried, a ring sling is a fantastic option. No matter what position you are carrying your baby in, or your baby’s age you will find the ring sling easy to adjust to create a super snug and custom fit. From the tummy-to-tummy newborn position to the toddler-proof hip carry, the Hug-A-Bub mesh ring sling truly must have carrier. 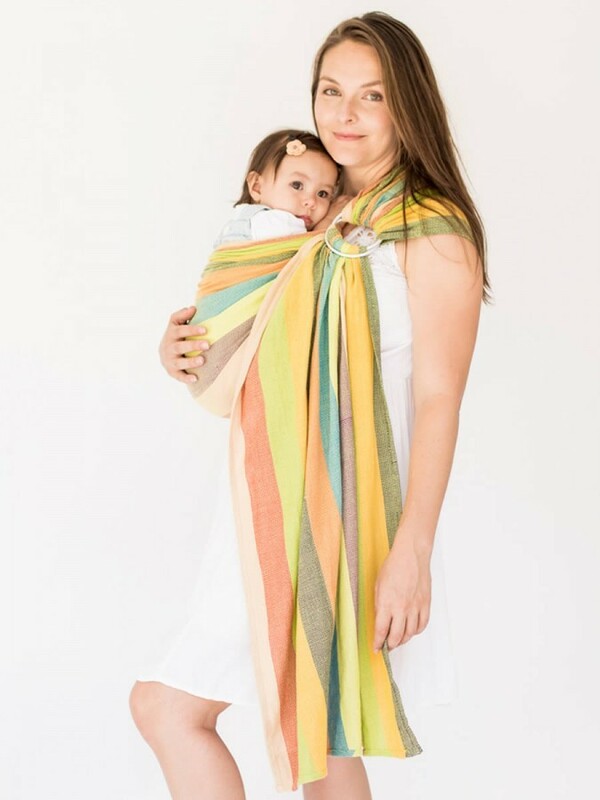 Whether you already use a wrap or another soft structured carriers, a ring sling comes in handy for those quick carries and for use with the older baby who wants to be up and down every other minute. The Hug-a-Bub organic mesh sling is made from a soft and breathable, lightweight 100% cotton fabric which allows airflow in and around your baby. The new gathered shoulder design, gives you the option for wider shoulder coverage and there for enhanced wearing comfort, whether you are carrying a newborn baby or an older child. Hug-a-Bub’s environmental credentials are second to none. To see how every Hug-a-Bub Plants a Tree, visit our reforestation partner, Eden Projects And all Hug-a-Bubs are made under Fair Trade conditions.